A research program, in partnership with IBM, to explore the use of DRAM with emerging memories (EM) to create a high-capacity memory subsystem that delivers comparable performance to DRAM. Leading-edge technologies, such as big data analytics and deep learning (a specific subset of artificial intelligence), are creating an increasing demand for memory capacity and performance inside the data center. For example, deep learning techniques that leverage neural networks are being used in autonomous driving applications for voice or facial recognition and are required to analyze and compute large data sets at incredible speeds. Due to this, the memory bandwidth and capacity in the system directly define the run time of a learning algorithm and are often the limiting factor for the system’s performance. In addition to these emerging technologies, there are also many current applications that could benefit from a cost-effective way to significantly increase memory capacity. Examples include in-memory databases (IMDB) for faster decision making, media streaming services that could load full movies into memory, large graphic rendering projects (animated movie or game creation) that constantly require terabytes of data to be loaded into memory at a time, and more. Credit card fraud detection is a great example use case that could benefit from large-capacity IMBDs. The bank behind a credit card is required to approve or reject a transaction from any user at any given moment in time, which requires them to quickly access large amounts of information every transaction. Having decision making information directly available in-memory (versus disk storage) will allow the bank to make quicker, more accurate decisions and could help prevent fraud from occurring. As seen in the examples above, technology continues advancing and data generation from edge devices is exponentially increasing. 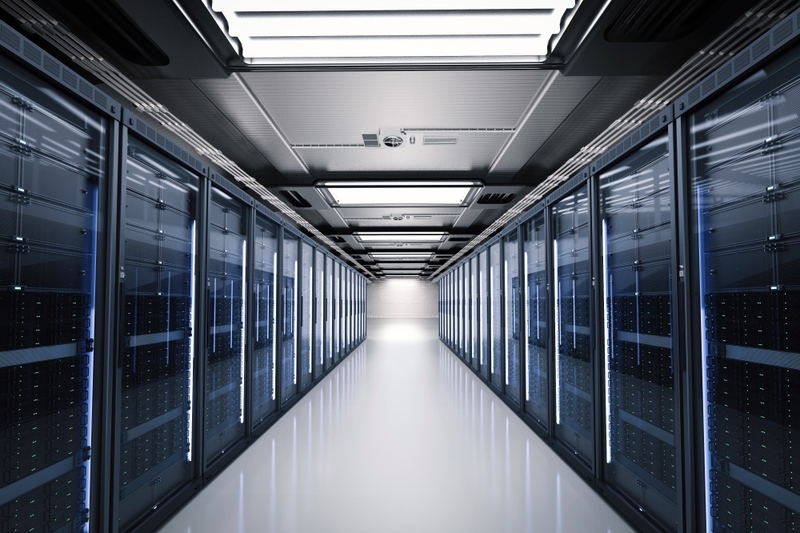 Therefore, the requirement for instantaneous calculations is higher than ever, and projects like our hybrid memory research are solving key limitations that will continue advancing hardware and reduce bottlenecks in the data center. The CryptoMedia Security Platform is a complete content storage solution and includes a hardware root-of-trust, player software and trusted key provisioning services to meet the growing demand for high-quality digital movie watching experiences of 4K Ultra-high Definition (UHD) and High Dynamic Range (HDR) content. CryptoMedia solutions deliver a secure digital ownership experience for premium content across multiple devices, including smartphones, tablets, smartTVs and home storage devices. The Key Issuance Center (KIC) that provides keys to player and storage device manufacturers, as well as content providers in the VIDITY ecosystem. Moore’s Law has allowed computing gains through clock speeds, increasing the number of cores, and supplemental computing through the use of accelerators, but DRAM has not kept pace and memory is the growing bottleneck in the data center. Although DRAM is currently the memory of choice for low latencies, its capacity limitations are creating a surplus of computing power. The standard way to increase capacity is through increased memory modules or increased memory channels, but this comes at a cost through dollars, area, and power. Rambus is continuously working to feed the point of computing through products like our Server DIMM Chipsets for registered and load-reduced memory modules (RDIMMs and LRDIMMs), which enable increased DRAM capacities while maintaining maximum performance. Although RDIMM and LRDIMM options are a much needed stop-gap, we understand that the divergence between processing power and memory is growing and other ideas or architectures must be considered. 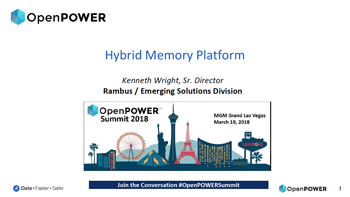 Rambus, as a leader in memory interface and architecture design, continues to research and innovate in this field looking for possible ways to feed data starved CPUs by reducing the latency gap between DRAM and other, higher capacity, technologies. Watch this presentation to learn how the early success in simulation of Hybrid Memory will outline the future direction of a Collaborative Hybrid Memory Research Platform, with goals of bringing Hybrid Memory into the Data Center.